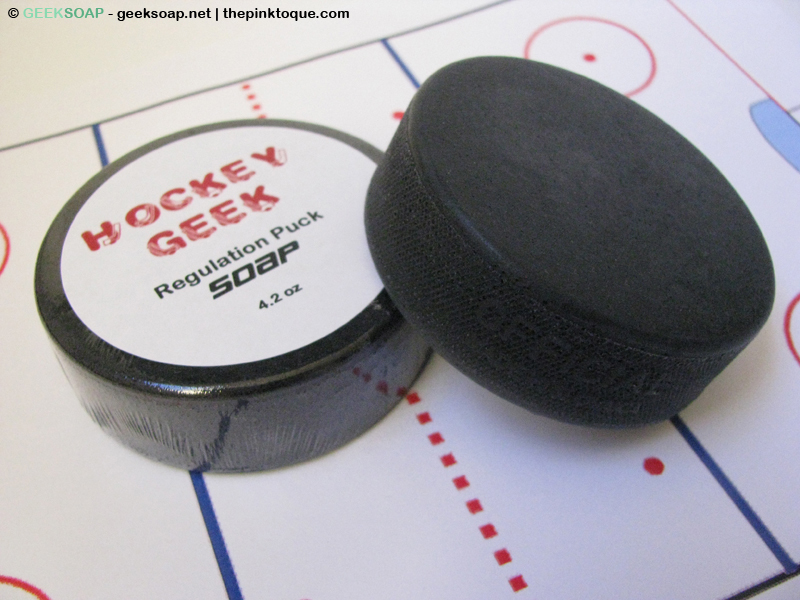 The Pink Toque» Contests Soapmaking » Welcome Back Hockey Contest: Win Custom Hockey Puck Soap! Home Contests Welcome Back Hockey Contest: Win Custom Hockey Puck Soap! Welcome Back Hockey Contest: Win Custom Hockey Puck Soap! HOCKEY IS BACK! One great surprise in the new year is the return of NHL hockey! Sure it’s only half a season but half a season of hockey is better than none, and we can’t WAIT to watch games again! 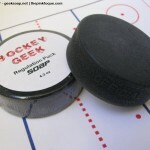 The return of hockey prompted the return of my popular Hockey Geek regulation size puck soap. And to celebrate, I’ve got a bar to give away to a lucky reader… customized with your fave hockey team’s logo on top! Whether you’re a Calgary fan or a Blackhawks fan, I can accommodate for your prize puck. When the random winner is chosen and contacted, I’ll ask you for your favorite team choice and print the top label accordingly. Ready to win some hockey puck soap and celebrate the return of the NHL season? Complete the form below. The random winner will be chosen on Thursday, January 17 and your prize puck will be shipped out on Friday, January 18 via USPS Priority mail. Score! Good luck! Welcome back hockey! The NHL and hockey team logos are copyright to their respective teams and the National Hockey League. These are not licensed soaps nor endorsed by the NHL. It’s just for fun, and no profit will be made on this giveaway. We are Flyers fans here in Philly! If I win, my hockey puck will go to my huge hockey fan sister-in-law. My husband loves the Oilers so I’d get this for him!